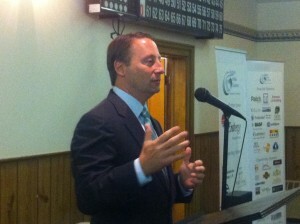 Westchester County Executive Rob Astorino speaking recently about fair housing and zoning. When he said it, I felt the hairs on the back of my neck stand up. In just a few minutes of my meeting with my new customer, he managed to insult my national heritage while identifying himself as a racist at the same time. It was when I was young in the real estate business, but I still recall exactly what he said: “With a last name like yours, I’m sure you understand the kind of neighborhood I don’t want to live in. I’ve had enough of that in the city.” Then he went on to describe specifically the people he didn’t want as next door neighbors. I had just been well trained for my realtor’s license and had fresh in my mind all the subtleties to look for when a client is asking a realtor to break the law as defined by the Fair Housing Act of 1968 and a number of other federal, state and county decisions that followed. But there was nothing subtle about this message. It was delivered with a sludge hammer. The only decision to be made on my part was how best to handle what needed to be done. The offender, his wife and teenage son were in my car, and I couldn’t just pull over to the side of the road and demand that they get out as one realtor famously did. Rather, without saying a word, I let my actions speak for themselves. I jammed on the brakes, made a U-turn, and headed back to the office. In the five minutes of that trip, the silence in the car was deafening, but it gave me time to gather my thoughts about what to say. This may not have been the last incident of bias in housing I experienced through the years, but they have been very few. There have also been instances, albeit rare, where the New York State Attorney General has sued brokerage firms for racial steering, the illegal practice where real estate brokers guide prospective homebuyers toward or away certain neighborhoods or developments based on their race. Today a broader range of housing protections are in place than when the Fair Housing Law was first passed. Now it states that individuals cannot be denied housing, whether sale, lease or rental, on the basis of race or skin color, religion, ethnic or national origin, gender status, age, disability, marriage status, a family with children under 18 years of age, sexual orientation, citizenship or alienage status. Currently there is a well-reported struggle between the U.S. Department of Housing and Urban Development (HUD) and Westchester County over a fair housing settlement of 2009. At stake is whether the County will continue to receive grants from the federal government for promoting fair housing practices in the county. Under the settlement, the County has agreed to build 750 units of affordable housing over a seven year period and, according to County Executive Rob Astorino, the County is ahead of schedule in meeting that requirement. However, at present, HUD and the County are in a deadlock over whether some of the municipalities in Westchester perpetuate exclusionary housing through its zoning practices. “This is not about discrimination,” Astorino said last week at a breakfast hosted jointly by the Yorktown and Hudson Gateway Chambers of Commerce. “It’s about zoning. We now have the federal government saying that we must remove all restrictions from our zoning codes that limit height, density, acreage, water, sewer and other environmental protections, and the number of bedrooms permitted to the developer. In their view, zoning and discrimination are the same thing, but they are not. At the same time, Astorino stated that, further protecting fair housing laws are our realtors, noting that they could be prosecuted and lose their licenses for failure to adhere to them. Bill Primavera is a Residential and Commercial Realtor® associated with Coldwell Banker, as well as a marketer and journalist who writes regularly as The Home Guru. 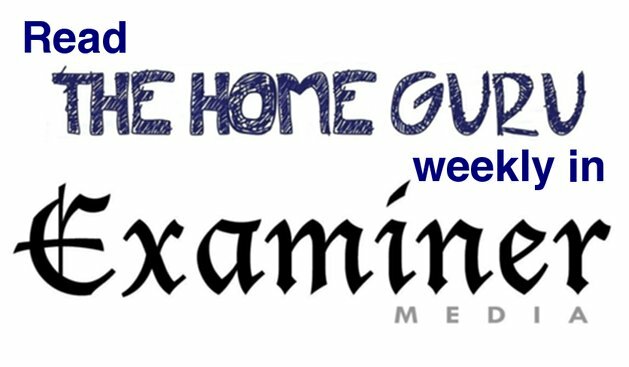 For questions about home maintenance or to engage him to help you buy or sell a home, he can be emailed at Bill@TheHomeGuru.com or called directly at 914-522-2076.